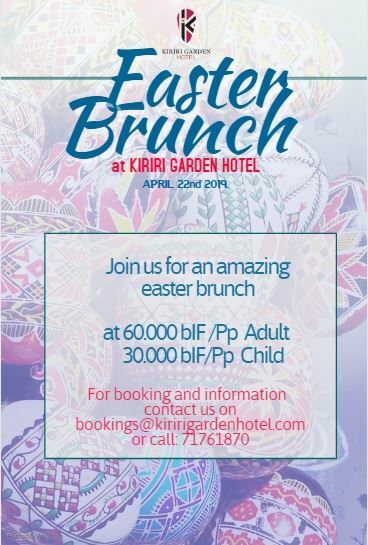 Call on +257 22 25 14 90 or +257 71761870 for your Brunch Reservations on Easter 2019. or use the Quick Contact Form alongside. We welcome relevant and respectful responses. All comments require moderator approval before being published.